TAMPA — As his Tampa Bay Tech teammates labored through grueling weightlifting sessions this summer, Joe Lock was 10 miles away at Tampa General Hospital. 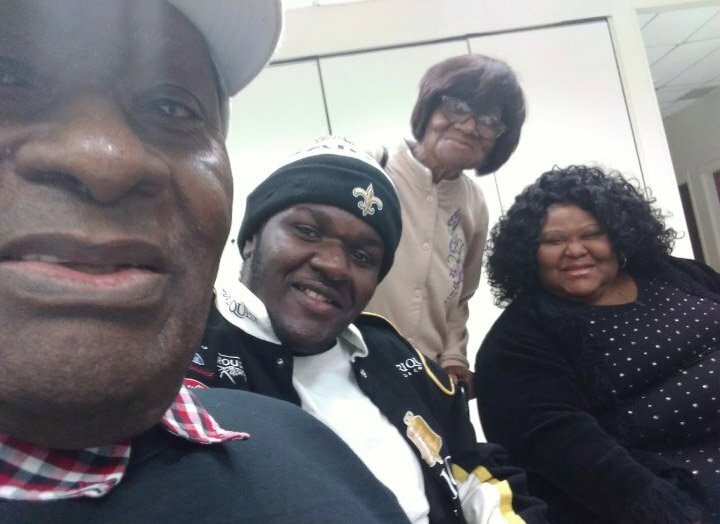 Lock spent six hours a day with his mother, Lawanda, who was battling kidney cancer. He was always by her side, through the initial stages of radiation and eventually the removal of her kidney. The caregiving did not end there. Lock would come home from the hospital to help his grandfather, also named Joe, who has Alzheimer's. "I would usually get my grandfather something to eat and give him a bath," Lock said. It was a painful and emotional summer. The stress went far beyond whether Lock would continue to play football in college. The offensive lineman had more urgent concerns about the health and well-being of loved ones. There were the numerous medical matters that came along with his mother's cancer treatment. There were the weekly chores of feeding, bathing and scheduling social visits for his grandfather. Lock felt as if his heart was ripping apart. He was being torn in other ways, too. Lock lived with increased anxiety. His senior season was approaching, one that had come with big expectations for the Titans and himself. The 6-foot-3, 300-pound lineman is the anchor of a beefy unit that specializes in demolishing opponents. The line's ability to open holes for talented running backs such as Maryland commit Treshaun Ward made Tech a favorite to win another district title and go deep in the playoffs. But Lock feared he would be out of shape when fall practice started, that he would be letting down his teammates who were going through conditioning. So Lock decided to work out on his own. He made time between the hospital visits and tending to his grandfather. Lock did pushups and situps in his backyard. He went on daily runs through the neighborhood. He polished his technique, doing kick-steps while punching at the fence. "It was really an escape for me," he said. Coach Jayson Roberts did not give his prized lineman a workout regimen. "This was something Joe did all on his own," Roberts said. "He's really dedicated." Roberts found out about Lock's ordeal in the spring. Lock's mother was in intensive care. Her gallbladder was removed. She had thyroid issues, all from complications of the cancer that had yet to be fully diagnosed. "There was a social worker at school that emailed that Joe's mother was rushed to the hospital, and to keep an eye on him," Roberts said. "We knew he may be upset and wanted to make sure he had the support he needed." Lock still had a tremendous spring, drawing the interest of several colleges. But the momentum was halted when Lock's mother went back in the hospital again during the summer. "I let him know he could take all the time he needed to take care of his family," Roberts said. "There were obviously more important things for him to worry about other than football." When practice resumed in August, Lock arrived early. His teammates roared with approval once they saw him in the locker room. Some embraced him. "As a team we knew from last season that Joe was having problems at home with his mom so we were behind him 100 percent," defensive back Tre'Vaughn Banks said. "It was big having him back because he is one of our key players on offense and can get them rolling." Lock's mother is recovering well. And the Titans are on top with a 6-0 record. Lock and his fellow linemen have a lot to do with that. "We're a dominant run team," Lock said. "It shows with all the rushing yards we have every game. I love being able to push someone else out of the way against their will. It's a beautiful thing." On Friday, Tampa Bay Tech faces unbeaten Bloomingdale in a pivotal Class 7A, District 9 game. "To me, this is bigger than the Armwood game earlier this season," Lock said. "It's more like a playoff game. It's like we can get the keys to the city. Now, we just have to claim them." The stands will be packed. But Lock's mother and grandfather will not be there. Both are too frail to attend. "I'll still feel their presence," Lock said. "They're always there in spirit."